Popular music streaming giant Spotify has today taken the wraps off its latest partnership with gaming chat app Discord to redefine how users jam music during their game sessions. Under this partnership, you can link your Spotify account to Discord and share the songs you’re currently listening or organize a listening party and listen to same musical tracks within a Discord server. 1. Log into your Discord account and navigate to Settings > Connections. Then, tap on the Spotify icon and allow Discord access your musical tastes. 2. 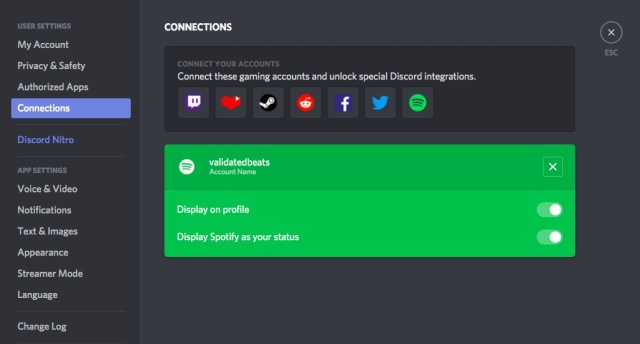 Once the two accounts are connected, your Spotify username will be shown in the Discord settings. You’re then free to select if you want to display the song tracks you’re playing as the status and on your profile. 3. As you can see above, the setup process is utterly simple. 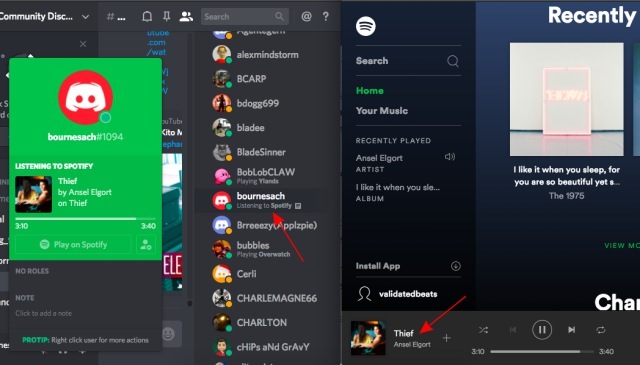 Now that you’ve connected the Spotify account to your Discord account, the member list shows a ‘Listening to Spotify” profile tag under the username of the gamer. This is not the first time Spotify has shown interest in making tunes available especially for the gaming community. It already has a ‘Gaming Hub’ dedicated to presenting gamers with original soundtracks from their favorite games and curated playlists to suit their next game session. So, what artist will you be listening to during your next CS:GO session? Do tell us in the comments below.